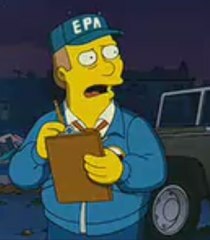 What’s the use of the EPA enforcing clean air and water laws when we’re always holding our breath anyway waiting to hear explanations from the polluting agency on their latest government-caused mine spill. It’s been two months since the Gold King Mine spill, and the EPA has yet to provide a full accounting of what led to the disaster and their actions afterwards, and that’s in spite of a half-dozen House and Senate investigations. After last week’s new and improved mine spill caused by the EPA near Crested Butte, U.S. Rep. Scott Tipton said he’s still waiting for answers on both spills. “While initial reports are that the water was not contaminated, another spill caused by the actions of the EPA calls further into question this agency’s ability to adequately execute these types of projects. It is troubling and frustrating that the spill occurred yesterday and once again the EPA did not notify our office,” Tipton said. About 2,000 gallons of sludge was pulled from a pond on Tuesday and dropped into the creek near the EPA Superfund site at the Standard Mine. The dropping was done on purpose, the inclusion of sludge was on accident. We were surprised to learn during the congressional hearings — and very little shocks us– that the EPA does not employ licensed, professional, mining engineers to oversee mine cleanups. According to the National Society of Professional Engineers, that’s a violation of Colorado law. Well, now that’s two violations. Guess we’ll also be holding our breath for the EPA to be held accountable by Gov. Hickenlooper. So here we sit in Colorado, home of the Colorado School of Mines, one of the finest engineering schools in the country, and the EPA can't find a licensed, professional, mining engineer to oversee these clean ups? I am sure the College would have taken this on as a "project" but no, we need the "Government Experts"! What a crock!